It's been a while since my last drawing from my Animal Connections series but the InkTober sketching challenge inspired me to get back into it. It's an annual online event that takes place in October. The goal is to create 31 drawings for each day of the month of October as a way to practice and improve inking styles. This initiative is the creation of artist Jake Parker, who was looking for a challenge to improve his drawing skills back in 2009. Now it seems to have become a popular online events for artists. I'm little behind, but hopefully I can catch up. 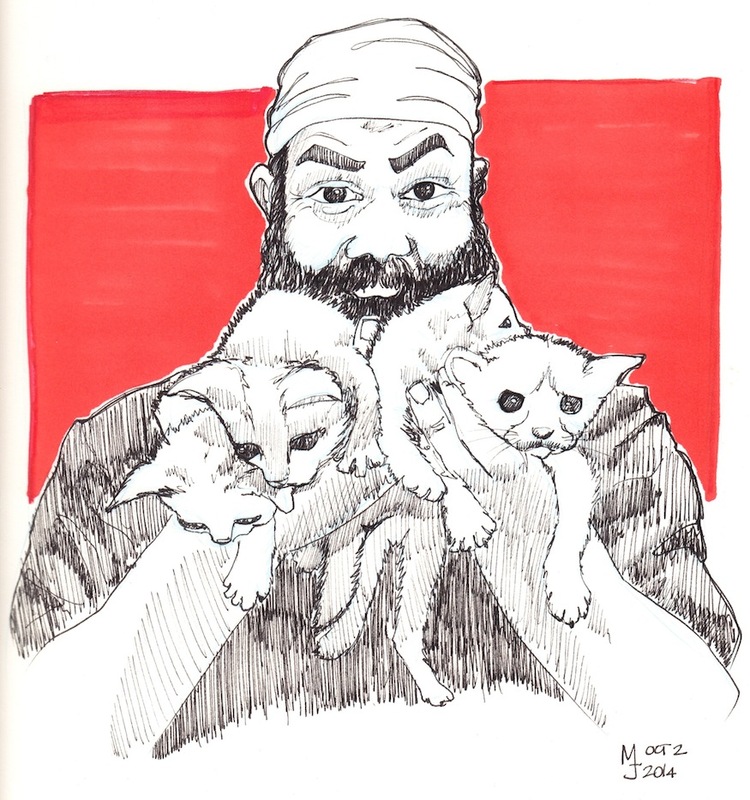 This first illustration was based on a photo from a subreddit called Beards Gone Cuddly. It's an fun subreddit with cute pictures of bearded men and their pets.